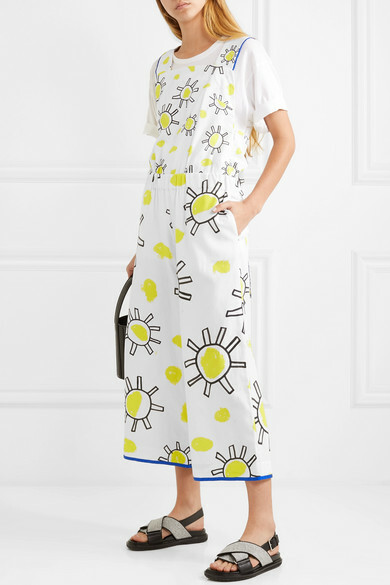 We can always count on Mira Mikati's clothes to cheer us up - especially this jumpsuit, which is playfully illustrated with a bold sun print. 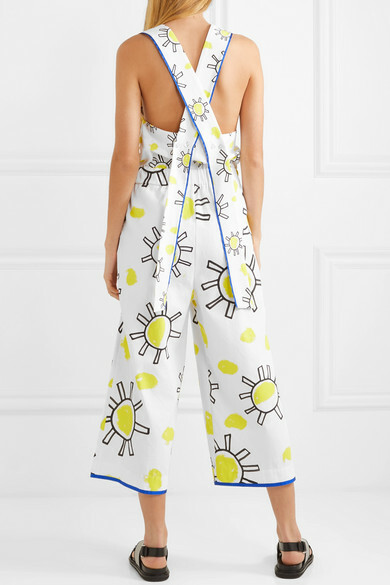 Made from cotton and linen-blend with a hint of stretch, it has an elasticated waist and turns to reveal crossover straps with contrasting blue piping. 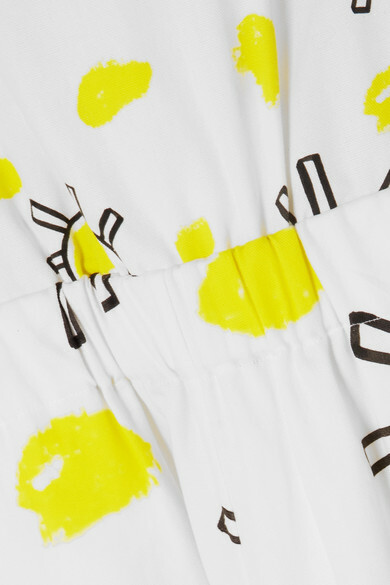 Layer yours over a tee and team it with sneakers or sandals. 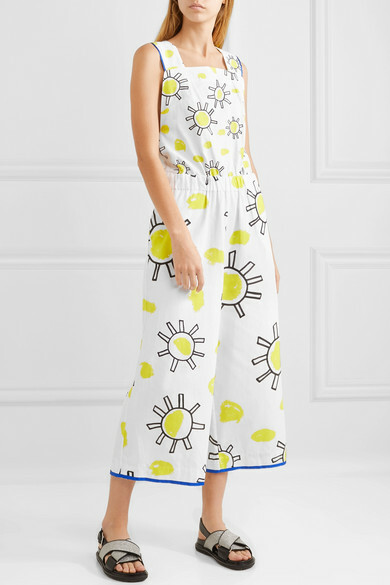 Shown here with: Acne Studios T-shirt, STAUD Bucket bag, Marni Sandals.